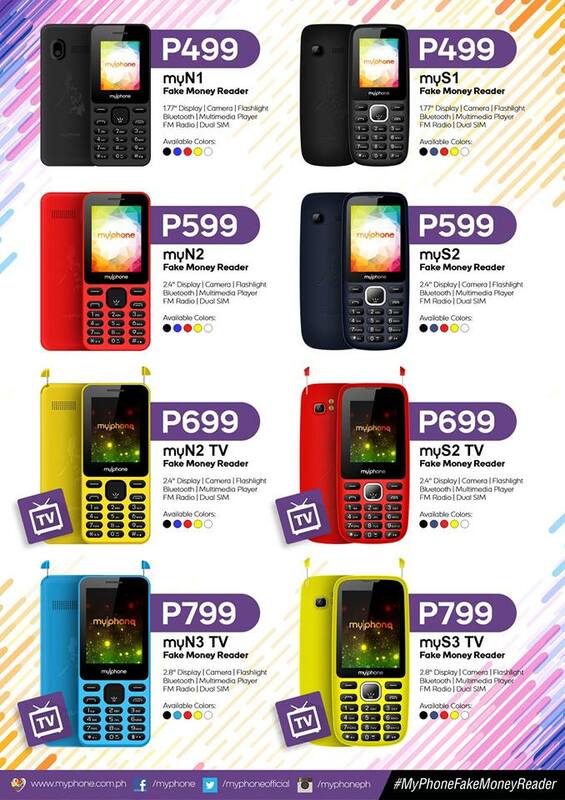 After MyPhone unveiled their new my|series with DTV ready smartphones, MyPhone also released their new line-up of basic phones with Fake Money Reader (FMR) for as low as P499. They have released 8 new basic phones with FMR namely: myN1, myN2, myS1, myS2, myN2 TV, myN3 TV, myS2 TV, myS3 TV. Among the 8 phones, 4 are also TV phones for as low as P699. I am a proud user of MyPhone basic phones and I can really say that they are #TatakMatibay. I have bought Myphone B88 duo (also has a fake money detector feature) four years ago, and until now it is still working. I am also currently using Myphone Ignite 3 for a year now and I'm still satisfied with it.